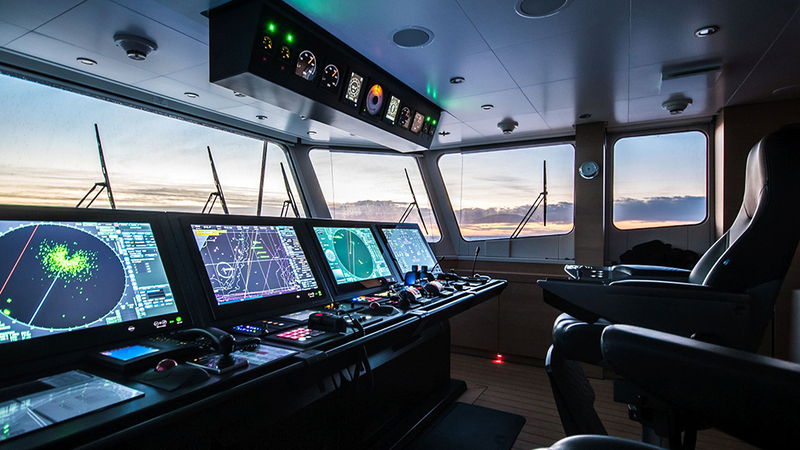 Soon, you might find Game Changer—a 70-metre yacht built by Damen—operating somewhere around either of the poles, launching a submarine in the name of scientific research. In fact, there’s almost nowhere on earth that this yacht can’t go, thanks to recent modifications. Launched last year, Game Changer is Damen’s fourth Yacht Support vessel in the 70-metre range and one of 12 support vessels that have either been delivered or are currently in build in the Dutch shipyard. After buying the yacht last year, Game Changer’s owner decided he wanted a vessel that could literally journey to the far corners of the earth. Game Changer is now certified for Arctic and Antarctic operations in compliance with the IMO Polar Code. 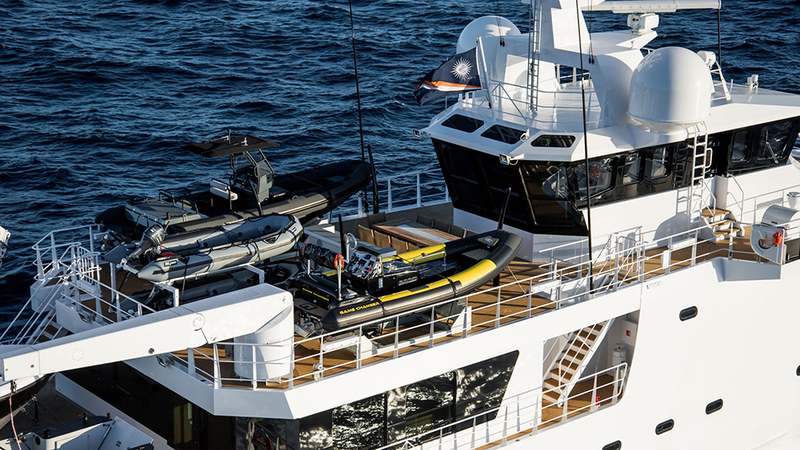 The owner wanted a vessel for marine conservation, ocean research, documenting ocean biodiversity, and, of course, luxury dive expeditions. Top of the modification list was a custom scuba center, with tri-mix facilities that allow deep diving for extended periods. The yacht will also have a C-Researcher submarine by U-Boat Worx that can dive to 1100 metres. The Falcon ROV (remotely operated vehicle) by Saab Seaeye gives the yacht further exploration capabilities. 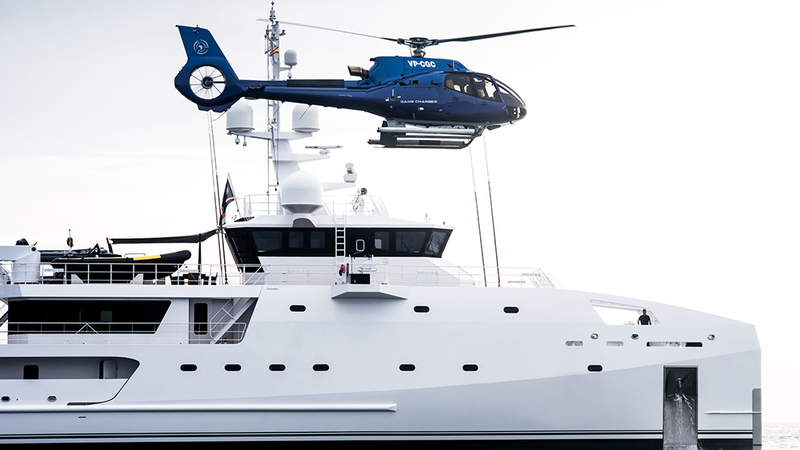 The fully certified helideck and hangar underneath will accommodate Game Changer’s custom Airbus H130 T2 helicopter. 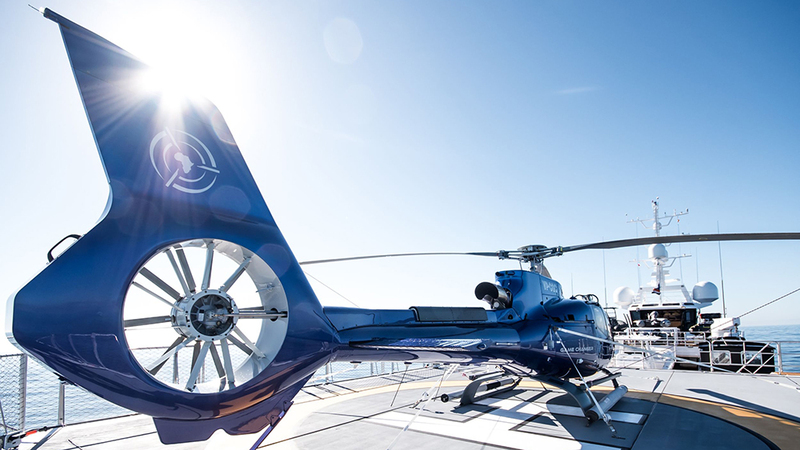 The Airbus chopper has a Shotover 8k camera system for exceptional quality on flights over water or during in-land exploration. Game Changer’s centre deck can house multiple tenders and motorboats. Damen also made large modifications to the boat’s guest and crew areas to improve comfort during long trips. “It’s exciting to see how these clients are using Damen vessels to realise their vision of yachting,” says Rose Damen, Damen’s commercial director. 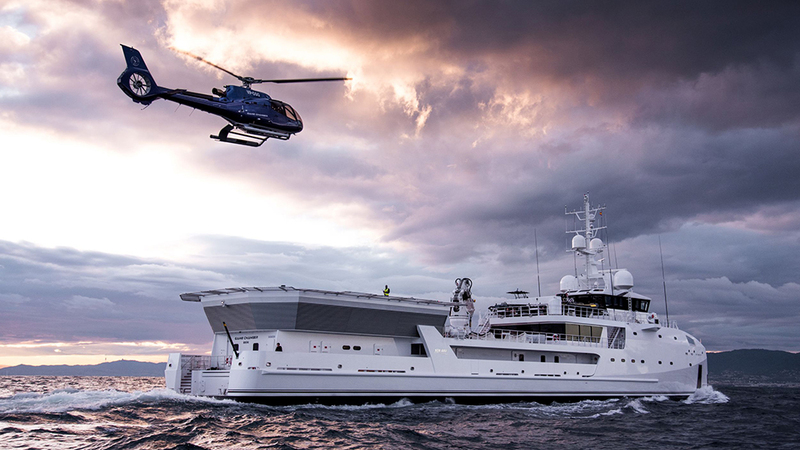 Damen is sister company to superyacht-builder Amels.